Manila, Philippines – There are different reasons why organizations put up environment protection programs. For The Circle Hostel, the Philippines’ annual 1.88 million tons worth of plastic waste in the oceans was reason enough for its avid surfers and environmentalists to create their multi-award-winning program, The Plastic Solution. 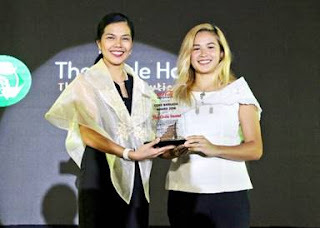 The Circle Hostel environmental officer, Fiona Faulkner, accepts multiple awards including the Coke Barkada Award for their innovative environmental program, The Plastic Solution. The TAYO Awardees beam with pride as TAYO Awards judges, including (4th from left, back row) Coca-Cola Philippines Public Affairs and Communications Director Jonah De Lumen-Pernia, National Youth Commission Chairman Ice Seguerra, Senator Bam Aquino, and YesPinoy Foundation Chairman Dingdong Dantes, join them on stage. 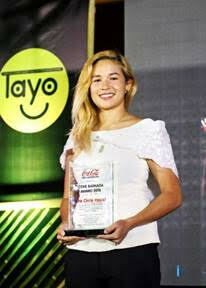 Coca-Cola, along with the TAYO Awards Foundation, Inc. and its other partners, continues to recognize outstanding youth organizations which have made a positive impact on the country through innovative programs, returning with the 15th TAYO Awards.